August 26, September 24, October 24, November 22. 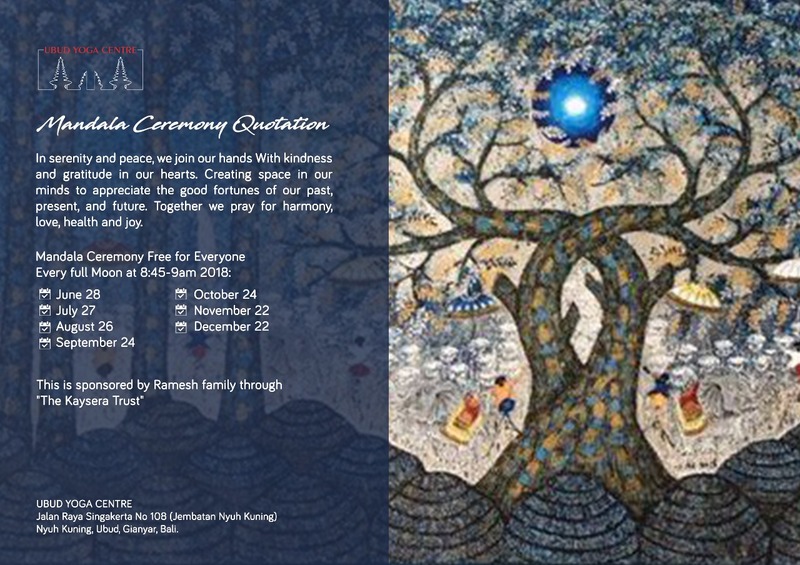 This is sponsored by the hotel Ramesh Family through “The Kaysera Trust” in serenity and peace, we join our hands with kindness and gratitude in our hearts. Creating space in our minds to appreciate the good fortunes of our past, present and future. Together we pray for harmony, love, health and joy.